Hiking the West Rim Trail is a fantastic way to see much of the variety of spectacular scenery that Zion National Park has to offer. Starting in the north end of the park and finishing at the Grotto about 5 miles north of the park’s south entrance, this 15-mile, moderately challenging hike is a perfect day trip. 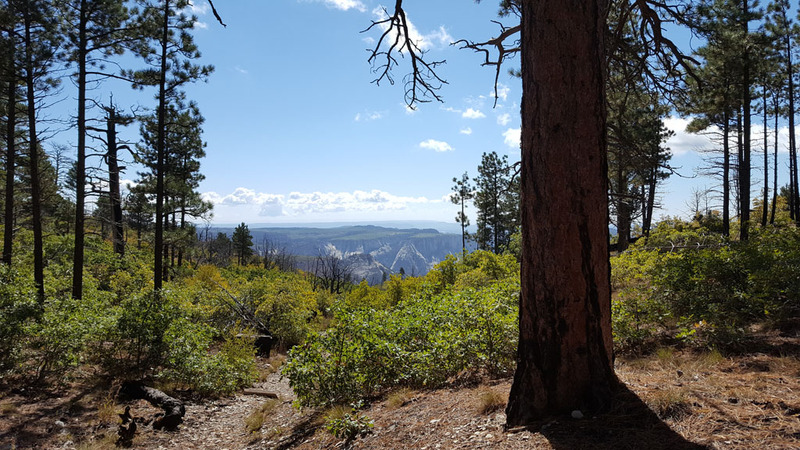 The West Rim Trail hike is a little over 15 miles long, and while some hardy souls could manage that as a round trip hike in one day, the Early Rise Hikers opted to hike the trail one way so we could be sure to see it and take a few photos. 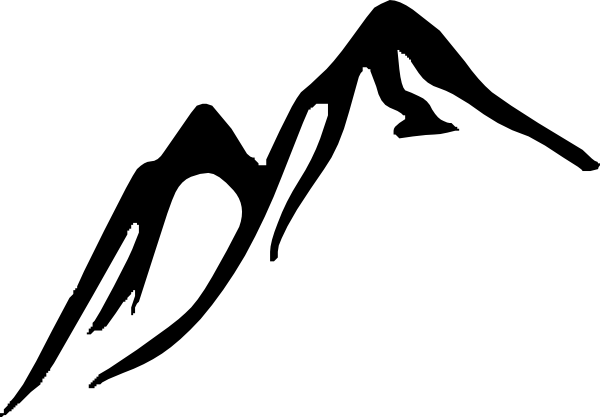 This hike statistics and profile (see below), showing a mostly downhill run, give the hike a deceptively easy appeal. When deciding whether to take it on, bear in mind not only the distance, but the close to 1,000 feet in elevation gain early on, and knee pounding 6,400-foot drop in total. Over the course of the 15 plus miles there is quite a bit of up and down, making the total elevation gain close to 3,000 feet. It’s a pretty good workout. All of that said, this hike starts out glorious, and just keeps getting better. Hikers take a trail on more or less level ground towards the canyon, and hike through an uphill forested area before coming to the first views of the northern end of Zion Canyon. The hike then skirts the rim, refreshing the breathtaking views of the Zion Canyon with every turn. The final part of the hike is the descent into Zion Canyon on a relatively narrow trail with steep drop offs. Without question, Zion has some of the most spectacular scenery in the Western United States. We found the unusual dome formations to be reminiscent of some of the Yosemite landscape, but these gave way to rust colored cliff faces that were somewhat similar to the walls of the Grand Canyon at the higher elevations as we neared Zion Canyon. The National Park Service does a great job of explaining the geology of Zion’s slot canyon and surrounding area on its website. The Trailhead closest to the start of the West Rim Trail is at Lava Point, in the north of the main/larger part of the park (south east of Kolob Canyons). There are probably several ways to approach doing this as a one-way hike, but local shuttle companies can help to make it convenient. We hired the Zion Adventure Company to shuttle us from Springdale, just outside the main southern entrance to the park to Lava Point. We left Springdale at around 6:30 AM and were hiking an hour later. Once arriving at The Grotto at the south end of the West Rim Trail, hikers have access to the free Zion Shuttle down to the Zion Visitor’s Center. There is another free Zion shuttle that can transport hikers back to Springdale, but it is also an easy 15-minute walk. Zion can be hot in summer when temperatures can exceed 100F, making long hikes more difficult. Winter might be very beautiful – and we would very much like to see it then! However, if you plan to go in winter, be aware that shuttle buses are not running in the Canyon from November through to March. Also, Zion receives most of its precipitation in December and March, and trails may be closed due to mud or snow. Spring and fall are popular times to visit Zion, and having gone in late September we can see why. We were treated to fall foliage (which apparently deepens through October), blue skies, and perfect hiking temperatures. If you’ve ever thought about going to Zion, or have an Instagram account focused on adventure photography, you may well have heard of Angel’s Landing. This famous site is right on the West Rim trail at the North end of the Zion Canyon, and many people get there via shuttle from the south end. Angel’s Landing sits atop a narrow arching slab of rock rising between the two main walls of the canyon. There are chains available to hold onto for the fairly unnerving ascent to the top, where your views are unparalleled! The National Park Service Zion National Park Hiking Guide is very useful for an overview of the trails and details of the Zion Canyon shuttle service. For up-to-date reports on trail conditions (based on last National Park Service wilderness patrol) see Zion’s Wilderness Trail Conditions. The National Park Service’s Zion Safety Page contains useful information on staying safe in general, with some specific Zion National Park issues also addressed.